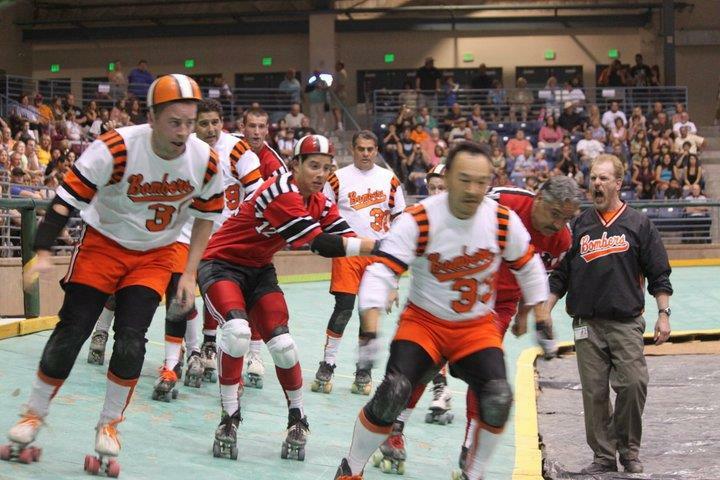 This southern California destination maintains a tradition of providing top-of-the-line sports facilities, tournaments and attractions all in one place. With years of hosting a variety of sports tournaments in the books, Fairplex is well adept at organizing major competitions. In fact, this premier destination in Pomona just hosted the 2018 Modern Pentathlon World Cup in March. This event precedes LA’s challenge to host the 2028 Olympic Games and dozens of other events in this bustling sports center. In addition, planners will be pleased to find that Fairplex and the area surrounding it maintain a tradition of arranging soccer tournaments, 5K marathons, seasonal events and even a robotics competition. Fairplex will easily become your playing field, as you and your team will have access to over 10 expo halls and athletic equipment. The facility’s expert sports planners have experienced what it takes to arrange different competitions and are more than qualified to assist you when the time comes. Fairplex even finds a way to entertain its guests when it’s not game day. The facility has been home to the LA County Fair since the 1920s, attracting millions to its seasonal festivals and concerts. 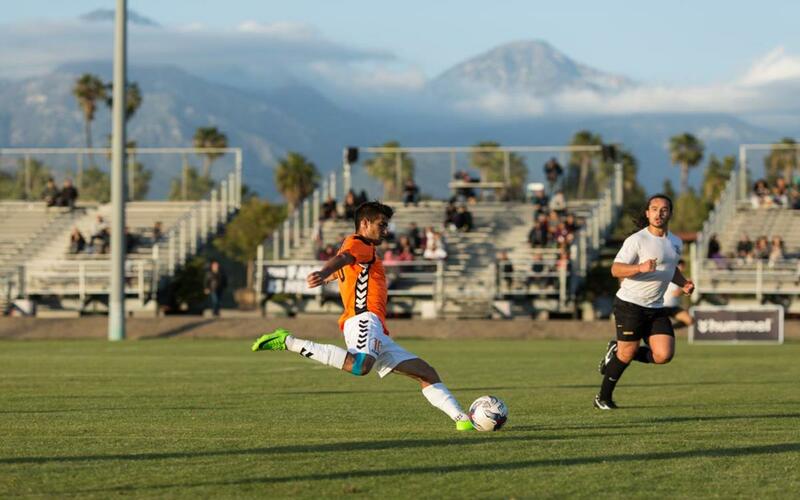 Just outside the facility, Southern California boasts world-class beaches, majestic mountains and luscious terrains. Take the family through vibrant shopping districts or catch another game at nearby stadiums—most notably, the Angel Stadium, Staples Center or Dodger Stadium. During your downtime, you can play a few rounds of golf at an Arnold-Palmer signature courses and relax at any one of the area’s affordable hotels. Whatever you choose to do, Fairplex has everything you need all within walking distance. The Fairplex Fields offer several outdoor spaces that can easily be configured to host sports, concerts and festivals. This part of the complex features four full-scale soccer fields with lights. While two of the fields sport natural grass, the South Fields are covered in hybrid Bermuda grass and the North Fields use Perineal Rye. Each year, these grounds are the chosen venue for the youth Cerritos Memorial Soccer Tournament. The grounds also boast dirt surfaces and hilly obstacles for the BMX Red Bull Straight Rhythm competition, another one of the area’s annual events. Spectators can watch any of these events from the facility’s 10,000-seat grandstand. Snack on treats from the complex’s mobile concessions. Fairplex houses a number of indoor sports venues, including Expo Hall 4, a 105,000-square-foot column-free exhibit space with air conditioning. Planners usually book this space for floor events such as boxing, karate and cheerleading, but added equipment flawlessly transforms the space into a roller derby, theatre stage or gymnastics hall. The expo hall is complete with DSL and high-speed Internet wiring. Six restrooms with special accommodations are available. 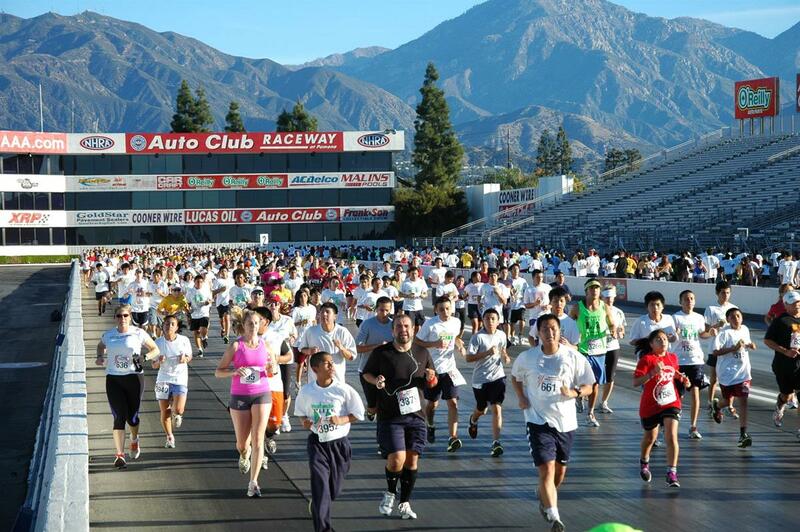 Track and field enthusiasts can test their endurance on Fairplex’s five million-square-feet of unobstructed parking lots. Among events held on these grounds are the Night Nation 5K Run in July and the Holiday Half Marathon in December. Planners can attest to the race location given its short distance from Bonelli Park. Fairplex’s sports team can even design an entirely new race course on-site to suit various tournaments. Teams can rent their equipment and bleachers to fully transform the venue. Like Expo Hall 4, Expo Hall 10 is equipped with convertible floor space. Planners will have access to 30,800 square-feet of column-free space with 39-foot-tall ceilings. This part of the complex can hold up to 2,000 people and accommodate theatre troupes, dance teams, boxers and roller derby competitors. The space comes with adjustable lighting as well as DSL and high-speed wiring capabilities. Restrooms with modern amenities and special accommodations are available. Sports planners will be exposed to a wide selection of natural locations for outdoor sporting events. Located in San Dimas, the 1800-acre Bonelli Regional Park is the place to be for cross-training athletes. Run or bike on 14 mile-trails, leaving another 250 acres for water sports, such as swimming, kayaking or jet skiing. Tee off at the Mountain Meadows Golf Course in Pomona. This prestigious course totals 6,440-yards and boasts a 131 slope rating, plus golf lessons and a restaurant on-site. Last but not least, Southern California beaches in San Diego, Los Angeles and Orange County are the perfect sites for training along the coast. Among all the water sports, cycling and running opportunities, beach volleyball players can set up shop for their upcoming tournaments. The Farm at Fairplex is known for its eco-friendly, sustainable crops and interactive learning capabilities for young students. To expand on its development programs, this educational attraction has also recently expanded its 1/3-acre farm into five acres of diverse crops. Here, groups will practice growing their own produce and enrich their learning in the center’s lab. 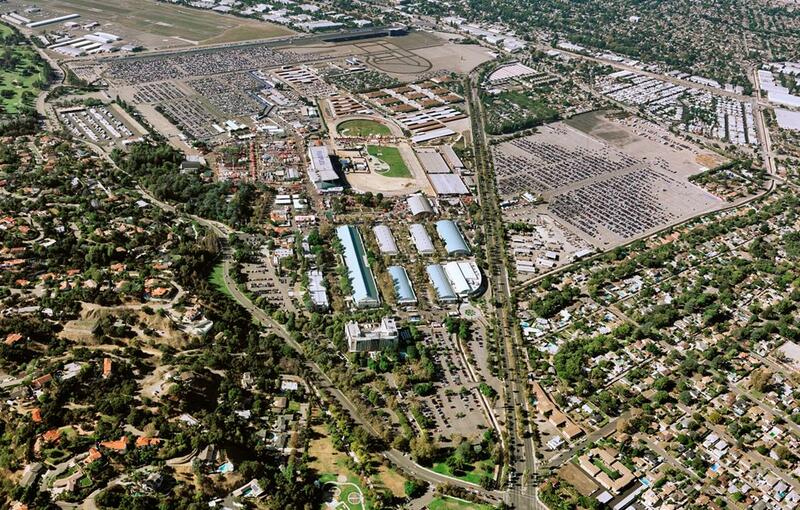 In addition, planners may coordinate with the Fairplex Learning Centers to utilize the area’s sprawling land space. 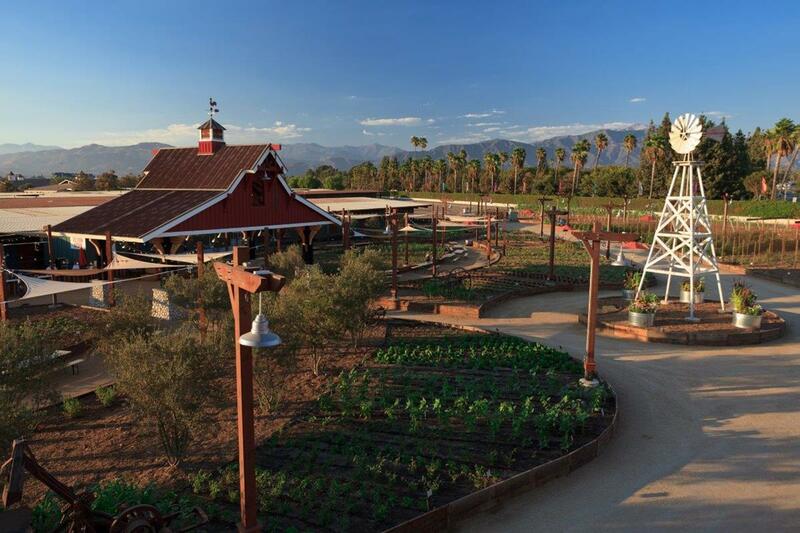 The farms offers tours during the LA County Fair and you can team up with the Sheraton and McKinley Grill for a sporting event complete with food for the whole team to enjoy. The four-star Sheraton Fairplex Hotel & Conference Center is the ultimate place to relax and round up the team before game time. This beautiful property, sitting at the crossroads of San Bernardino, Los Angeles and Orange Counties, provides 244 rooms for teams and their families. Most notably, the hotel boasts modern seminar rooms and dividable spaces equipped with high-definition technology, audio/visual services and high-speed Wi-Fi. 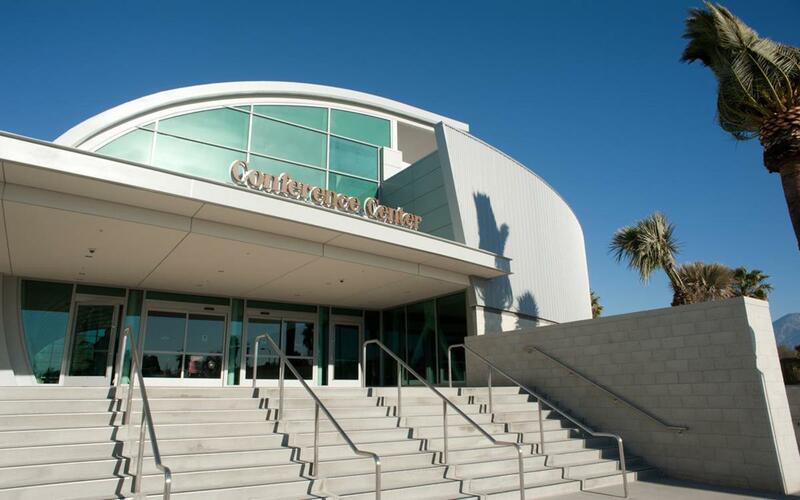 The complex also offers 300,000 square-feet of column-free event halls and 11,000 square-feet of banquet space. Planners may reconfigure these spaces for any sports event or meeting. When you’re feeling hungry, take the team to McKinley’s Grille for authentic American dishes. The key to capturing all the fun in 487-acre Fairplex is to get outside with friends and family. The Sheraton Fairplex, located just minutes away from attractions and sports facilities, is the ideal spot for your stay. Among nearby attractions are 10 different shopping malls and arcades—the Retro City Arcade is a proven favorite amongst the kids. Young athletes will also get an educational experience at the Farm at Fairplex, which is designed to encourage healthy eating habits and teach the basics of food agriculture. If you enjoy this hand-on approach, then you will love the Learning Centers at Fairplex. Teenagers and adults frequent this educational institution to develop the skills they need for work and life overall. Classes range from automotive manufacturing to cooking. You can even make your own ceramics in the center’s lab! And when you’ve masters your cooking skills, you can battle fellow classmates at the end of the course. Check out the farm’s garden by riding the Mother Road train along Route 66. While outside, venture to Raging Waters theme park in Los Angeles. This location features about 50 rides across a 60-acre waterpark, plus more slides and pools for everyone to enjoy. State beaches in Orange County provide the perfect opportunity for surfing, while snow-capped mountains a few miles away allow for some time on the ski slopes. Given Fairplex’s impressive topography and its attractions proximity, you can experience everyone all in one day. By Car: Drive to Fairplex from major cities such as San Francisco, Los Angeles, San Diego, Phoenix and Las Vegas. Located in Los Angeles County, the area can be accessed by driving along I-15. By Air: The Ontario International Airport is only nine miles away from Fairplex. This airport carries flights with Alaska, American, Delta, Southwest, United and Volaris airlines.